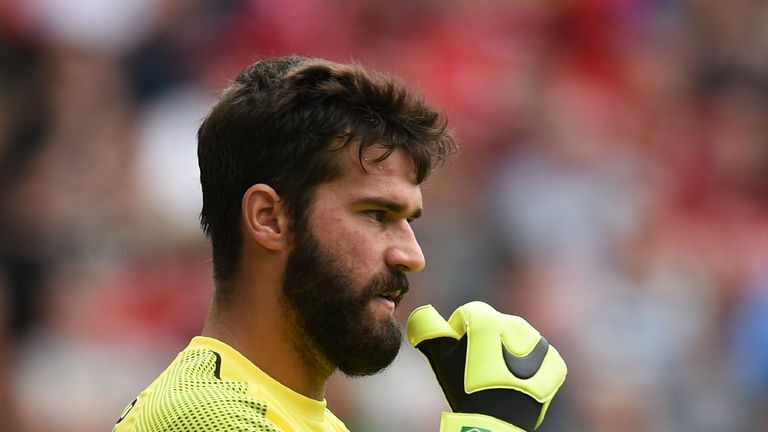 Former Manchester United goalkeeper Peter Schmeichel has defended Liverpool's Alisson and says the player should not "compromise his style". The 25-year-old Brazilian arrived at Anfield in the summer for £67m - at the time a world-record transfer for a goalkeeper - and was at fault for Leicester's goal in Saturday's 2-1 win at the King Power. The incident took place when Virgil Van Dijk was pressurised into playing the ball back to Alisson, who was then dispossessed by Kelechi Iheanacho as he tried to dribble his way past the substitute in the area. That allowed the striker to tee up Rachid Ghezzal for a simple finish into the unguarded net, but Schmeichel played down the mistake and says that the "worst thing" for Alisson to do would be to change the way he plays. "This is a new style," he said. "It's what teams and managers are looking for. Someone who is very comfortable with their feet and can pass the ball even in tight areas. "You lose the ball every now and then. Every single player does that, no matter where they are on the pitch. "The worst thing he can do is compromise his style. Stay with it, be comfortable with it, that's his way of playing. "The next few months he will be under pressure. The media will be scrutinising every little thing he is doing. "How is he reacting to that? Can he still go out and play at this very high level? That is the art of goalkeeping. That you have that ability. "When he made the mistake, the camera was on him a few times, he looked worried. It was playing on his mind. He needs to work on that. It's the only way you can survive." 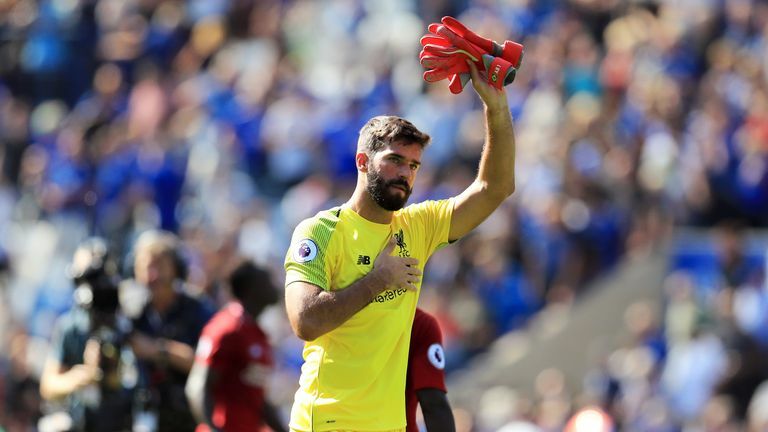 Schmeichel went on to compare Alisson to former Liverpool goalkeeper Bruce Grobbelaar, who made 628 appearances for the club in all competitions between 1980 and 1994. "When Liverpool were the most successful team in England and Europe they had a very entertaining goalkeeper. What makes the perfect goalkeeper? "Grobbelaar was that kind of guy. He would be incredible for many, many games then come out for a cross he should not have come out for, and they concede a goal. "But the team knew that. They lived for that. It wasn't a problem. He never changed and that, beyond anything, is the most important thing."